Arguments for atheism range from the philosophical to social and historical approaches. Rationales for not believing in any supernatural deity include the lack of empirical evidence, the problem of evil, the argument from inconsistent revelations, and the argument from nonbelief. Although some atheists have adopted secular philosophies, there is no one ideology or set of behaviors to which all atheists adhere. Many atheists hold that atheism is a more parsimonious worldview than theism, and therefore the burden of proof lies not on the atheist to disprove the existence of God, but on the theist to provide a rationale for theism. Since conceptions of atheism vary, determining how many atheists exist in the world today is difficult. According to one estimate, atheists make up about 2.3% of the world's population, while a further 11.9% are nonreligious. According to another, rates of self-reported atheism are among the highest in Western nations, again to varying degrees: United States (4%), Italy (7%), Spain (11%), Great Britain (17%), Germany (20%), and France (32%). According to a 2012 report by the Pew Research Center, people describing themselves as "atheist" were 2% of the total population in the US, and within the religiously unaffiliated (or "no religion") demographic, atheists made up 12%. According to a 2012 global poll conducted by WIN/GIA, 13% of the participants say they are atheists. Writers disagree how best to define and classify atheism, contesting what supernatural entities it applies to, whether it is an assertion in its own right or merely the absence of one, and whether it requires a conscious, explicit rejection. Atheism has been regarded as compatible with agnosticism, and has also been contrasted with it. A variety of categories have been used to distinguish the different forms of atheism. With respect to the range of phenomena being rejected, atheism may counter anything from the existence of a deity, to the existence of any spiritual, supernatural, or transcendental concepts, such as those of Buddhism, Hinduism, Jainism and Taoism. Definitions of atheism also vary in the degree of consideration a person must put to the idea of gods to be considered an atheist. Atheism has sometimes been defined to include the simple absence of belief that any deities exist. This broad definition would include newborns and other people who have not been exposed to theistic ideas. As far back as 1772, Baron d'Holbach said that "All children are born Atheists; they have no idea of God." Similarly, George H. Smith (1979) suggested that: "The man who is unacquainted with theism is an atheist because he does not believe in a god. This category would also include the child with the conceptual capacity to grasp the issues involved, but who is still unaware of those issues. The fact that this child does not believe in god qualifies him as an atheist." Smith coined the term implicit atheism to refer to "the absence of theistic belief without a conscious rejection of it" and explicit atheism to refer to the more common definition of conscious disbelief. Ernest Nagel contradicts Smith's definition of atheism as merely "absence of theism", acknowledging only explicit atheism as true "atheism". While Martin, for example, asserts that agnosticism entails negative atheism, most agnostics see their view as distinct from atheism,[তথ্যসূত্র প্রয়োজন] which they may consider no more justified than theism or requiring an equal conviction. The assertion of unattainability of knowledge for or against the existence of gods is sometimes seen as indication that atheism requires a leap of faith. [অনির্ভরযোগ্য উৎস?] Common atheist responses to this argument include that unproven religious propositions deserve as much disbelief as all other unproven propositions, and that the unprovability of a god's existence does not imply equal probability of either possibility. 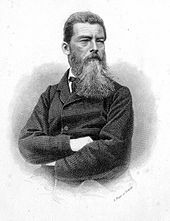 Scottish philosopher J. J. C. Smart even argues that "sometimes a person who is really an atheist may describe herself, even passionately, as an agnostic because of unreasonable generalised philosophical skepticism which would preclude us from saying that we know anything whatever, except perhaps the truths of mathematics and formal logic." Consequently, some atheist authors such as Richard Dawkins prefer distinguishing theist, agnostic and atheist positions along a spectrum of theistic probability—the likelihood that each assigns to the statement "God exists". Before the 18th century, the existence of God was so universally accepted in the western world that even the possibility of true atheism was questioned. This is called theistic innatism—the notion that all people believe in God from birth; within this view was the connotation that atheists are simply in denial. There is also a position claiming that atheists are quick to believe in God in times of crisis, that atheists make deathbed conversions, or that "there are no atheists in foxholes." There have however been examples to the contrary, among them examples of literal "atheists in foxholes." In practical or pragmatic atheism, also known as apatheism, individuals live as if there are no gods and explain natural phenomena without resorting to the divine. The existence of gods is not rejected, but may be designated unnecessary or useless; gods neither provide purpose to life, nor influence everyday life, according to this view. A form of practical atheism with implications for the scientific community is methodological naturalism—the "tacit adoption or assumption of philosophical naturalism within scientific method with or without fully accepting or believing it." "Metaphysical atheism … includes all doctrines that hold to metaphysical monism (the homogeneity of reality). Metaphysical atheism may be either: a) absolute — an explicit denial of God's existence associated with materialistic monism (all materialistic trends, both in ancient and modern times); b) relative — the implicit denial of God in all philosophies that, while they accept the existence of an absolute, conceive of the absolute as not possessing any of the attributes proper to God: transcendence, a personal character or unity. Relative atheism is associated with idealistic monism (pantheism, panentheism, deism)." Philosophers such as Ludwig Feuerbach and Sigmund Freud argued that God and other religious beliefs are human inventions, created to fulfill various psychological and emotional wants or needs. This is also a view of many Buddhists. Karl Marx and Friedrich Engels, influenced by the work of Feuerbach, argued that belief in God and religion are social functions, used by those in power to oppress the working class. According to Mikhail Bakunin, "the idea of God implies the abdication of human reason and justice; it is the most decisive negation of human liberty, and necessarily ends in the enslavement of mankind, in theory and practice." He reversed Voltaire's famous aphorism that if God did not exist, it would be necessary to invent him, writing instead that "if God really existed, it would be necessary to abolish him." French philosopher Jean-Paul Sartre identified himself as a representative of an "atheist existentialism" concerned less with denying the existence of God than with establishing that "man needs … to find himself again and to understand that nothing can save him from himself, not even a valid proof of the existence of God." Sartre said a corollary of his atheism was that "if God does not exist, there is at least one being in whom existence precedes essence, a being who exists before he can be defined by any concept, and … this being is man." The practical consequence of this atheism was described by Sartre as meaning that there are no a priori rules or absolute values that can be invoked to govern human conduct, and that humans are "condemned" to invent these for themselves, making "man" absolutely "responsible for everything he does". Compared to religious people in the US, "atheists and secular people" are less nationalistic, prejudiced, antisemitic, racist, dogmatic, ethnocentric, closed-minded, and authoritarian. In US states with the highest percentages of atheists, the murder rate is lower than average. In the most religious states, the murder rate is higher than average. Because of its absence of a creator god, Buddhism is commonly described as nontheistic. Philosophers such as Georges Bataille, Slavoj Žižek, Alain de Botton, and Alexander Bard and Jan Söderqvist, have all argued that atheists should reclaim religion as an act of defiance against theism, precisely not to leave religion as an unwarranted monopoly to theists. Although it is a philosophical truism, encapsulated in Plato's Euthyphro dilemma, that the role of the gods in determining right from wrong is either unnecessary or arbitrary, the argument that morality must be derived from God and cannot exist without a wise creator has been a persistent feature of political if not so much philosophical debate. Moral precepts such as "murder is wrong" are seen as divine laws, requiring a divine lawmaker and judge. However, many atheists argue that treating morality legalistically involves a false analogy, and that morality does not depend on a lawmaker in the same way that laws do. Friedrich Nietzsche believed in a morality independent of theistic belief, and stated that morality based upon God "has truth only if God is truth—it stands or falls with faith in God." Some prominent atheists—such as Bertrand Russell, Christopher Hitchens, Daniel Dennett, Sam Harris, and Richard Dawkins—have criticized religions, citing harmful aspects of religious practices and doctrines. Atheists have often engaged in debate with religious advocates, and the debates sometimes address the issue of whether religions provide a net benefit to individuals and society. One argument that religions can be harmful, made by atheists such as Sam Harris, is that Western religions' reliance on divine authority lends itself to authoritarianism and dogmatism. Atheists have also cited data showing that there is a correlation between religious fundamentalism and extrinsic religion (when religion is held because it serves ulterior interests) and authoritarianism, dogmatism, and prejudice. These arguments—combined with historical events that are argued to demonstrate the dangers of religion, such as the Crusades, inquisitions, witch trials, and terrorist attacks—have been used in response to claims of beneficial effects of belief in religion. Believers counter-argue that some regimes that espouse atheism, such as in Soviet Russia, have also been guilty of mass murder. In response to those claims, atheists such as Sam Harris and Richard Dawkins have stated that Stalin's atrocities were influenced not by atheism but by dogmatic Marxism, and that while Stalin and Mao happened to be atheists, they did not do their deeds in the name of atheism. In early ancient Greek, the adjective atheos (ἄθεος, from the privative ἀ- + θεός "god") meant "godless". It was first used as a term of censure roughly meaning "ungodly" or "impious". In the 5th century BCE, the word began to indicate more deliberate and active godlessness in the sense of "severing relations with the gods" or "denying the gods". The term ἀσεβής (asebēs) then came to be applied against those who impiously denied or disrespected the local gods, even if they believed in other gods. Modern translations of classical texts sometimes render atheos as "atheistic". As an abstract noun, there was also ἀθεότης (atheotēs), "atheism". Cicero transliterated the Greek word into the Latin atheos. The term found frequent use in the debate between early Christians and Hellenists, with each side attributing it, in the pejorative sense, to the other. The term atheist (from Fr. athée), in the sense of "one who denies or disbelieves the existence of God", predates atheism in English, being first found as early as 1566, and again in 1571. Atheist as a label of practical godlessness was used at least as early as 1577. The term atheism was derived from the French athéisme, and appears in English about 1587. An earlier work, from about 1534, used the term atheonism. Related words emerged later: deist in 1621, theist in 1662, deism in 1675, and theism in 1678. At that time "deist" and "deism" already carried their modern meaning. The term theism came to be contrasted with deism. Karen Armstrong writes that "During the sixteenth and seventeenth centuries, the word 'atheist' was still reserved exclusively for polemic … The term 'atheist' was an insult. Nobody would have dreamed of calling himself an atheist." Although the term atheism originated in 16th-century France,টেমপ্লেট:Original research inline ideas that would be recognized today as atheistic are documented from the Vedic period and the classical antiquity. Socrates (c. 471–399 BCE) was associated in the Athenian public mind with the trends in pre-Socratic philosophy towards naturalistic inquiry and the rejection of divine explanations for phenomena. Although such an interpretation misrepresents his thought he was portrayed in such a way in Aristophanes' comic play Clouds and was later to be tried and executed for impiety and corrupting the young. At his trial Socrates is reported as vehemently denying that he was an atheist and contemporary scholarship provides little reason to doubt this claim. 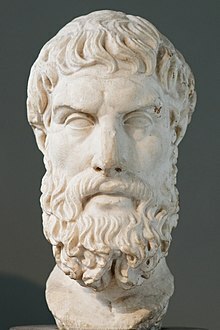 Also important in the history of atheism was Epicurus (c. 300 BCE). Drawing on the ideas of Democritus and the Atomists, he espoused a materialistic philosophy according to which the universe was governed by the laws of chance without the need for divine intervention. Although he stated that deities existed, he believed that they were uninterested in human existence. The aim of the Epicureans was to attain peace of mind and one important way of doing this was by exposing fear of divine wrath as irrational. The Epicureans also denied the existence of an afterlife and the need to fear divine punishment after death. The espousal of atheistic views was rare in Europe during the Early Middle Ages and Middle Ages (see Medieval Inquisition); metaphysics, religion and theology were the dominant interests. There were, however, movements within this period that forwarded heterodox conceptions of the Christian god, including differing views of the nature, transcendence, and knowability of God. Individuals and groups such as Johannes Scotus Eriugena, David of Dinant, Amalric of Bena, and the Brethren of the Free Spirit maintained Christian viewpoints with pantheistic tendencies. Nicholas of Cusa held to a form of fideism he called docta ignorantia ("learned ignorance"), asserting that God is beyond human categorization, and our knowledge of God is limited to conjecture. William of Ockham inspired anti-metaphysical tendencies with his nominalistic limitation of human knowledge to singular objects, and asserted that the divine essence could not be intuitively or rationally apprehended by human intellect. Followers of Ockham, such as John of Mirecourt and Nicholas of Autrecourt furthered this view. The resulting division between faith and reason influenced later theologians such as John Wycliffe, Jan Hus, and Martin Luther. Criticism of Christianity became increasingly frequent in the 17th and 18th centuries, especially in France and England, where there appears to have been a religious malaise, according to contemporary sources. Some Protestant thinkers, such as Thomas Hobbes, espoused a materialist philosophy and skepticism toward supernatural occurrences, while the Jewish-Dutch philosopher Baruch Spinoza rejected divine providence in favour of a panentheistic naturalism. By the late 17th century, deism came to be openly espoused by intellectuals such as John Toland who coined the term "pantheist". The first known explicit atheist was the German critic of religion Matthias Knutzen in his three writings of 1674. He was followed by two other explicit atheist writers, the Polish ex-Jesuit philosopher Kazimierz Łyszczyński and in the 1720s by the French priest Jean Meslier. In the course of the 18th century, other openly atheistic thinkers followed, such as Baron d'Holbach, Jacques-André Naigeon, and other French materialists. The philosopher David Hume developed a skeptical epistemology grounded in empiricism, and Immanuel Kant's philosophy has strongly questioned the very possibility of a metaphysical knowledge. Both philosophers undermined the metaphysical basis of natural theology and criticized classical arguments for the existence of God. However, they were not atheists themselves. The French Revolution took atheism and anti-clerical deism outside the salons and into the public sphere. 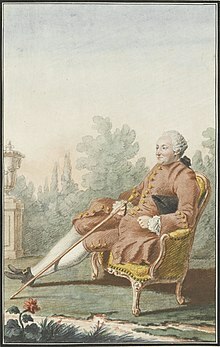 Baron d'Holbach was a prominent figure in the French Enlightenment who is best known for his atheism and for his voluminous writings against religion, the most famous of them being The System of Nature (1770) but also Christianity Unveiled. A major goal of the French revolution was a restructuring and subordination of the clergy with respect to the state through the Civil Constitution of the Clergy. Attempts to enforce it led to anti-clerical violence and the expulsion of many clergy from France. The chaotic political events in revolutionary Paris eventually enabled the more radical Jacobins to seize power in 1793, ushering in the Reign of Terror. The Jacobins were deists and introduced the Cult of the Supreme Being as a new French state religion. Some atheists surrounding Jacques Hébert instead sought to establish a Cult of Reason, a form of atheistic pseudo-religion with a goddess personifying reason. Both movements in part contributed to attempts to forcibly de-Christianize France. The Cult of Reason ended after three years when its leadership, including Jacques Hébert, was guillotined by the Jacobins. The anti-clerical persecutions ended with the Thermidorian Reaction. The Napoleonic era institutionalized the secularization of French society, and exported the revolution to northern Italy, in the hopes of creating pliable republics. In the 19th century, atheists contributed to political and social revolution, facilitating the upheavals of 1848, the Risorgimento in Italy, and the growth of an international socialist movement. The 20th century also saw the political advancement of atheism, spurred on by interpretation of the works of Marx and Engels. After the Russian Revolution of 1917, religious instruction was banned by the State. While the Soviet Constitution of 1936 guaranteed freedom to hold religious services, the Soviet state under Stalin's policy of state atheism did not consider education a private matter; it outlawed religious instruction and waged campaigns to persuade people, at times violently, to abandon religion. Several other communist states also opposed religion and mandated state atheism, including the former governments of Albania, and currently, China, North Korea, and Cuba. Other leaders like E. V. Ramasami Naicker (Periyar), a prominent atheist leader of India, fought against Hinduism and Brahmins for discriminating and dividing people in the name of caste and religion. This was highlighted in 1956 when he arranged for the erection of a statue depicting a Hindu god in a humble representation and made antitheistic statements. In 1966, Time magazine asked "Is God Dead?" in response to the Death of God theological movement, citing the estimation that nearly half of all people in the world lived under an anti-religious power, and millions more in Africa, Asia, and South America seemed to lack knowledge of the one God. In 1967, the Albanian government under Enver Hoxha announced the closure of all religious institutions in the country, declaring Albania the world's first officially atheist state, although religious practice in Albania was restored in 1991. These regimes enhanced the negative associations of atheism, especially where anti-communist sentiment was strong in the United States, despite the fact that prominent atheists were anti-communist. The religiously motivated terrorist events of 9/11 and the partially successful attempts of the Discovery Institute to change the American science curriculum to include creationist ideas, together with support for those ideas from George W. Bush in 2005, all triggered the noted atheist authors Sam Harris, Daniel C. Dennett, Richard Dawkins, Victor J. Stenger and Christopher Hitchens to publish books that were best sellers in America and worldwide. New Atheism is the name given to a movement among some early-21st-century atheist writers who have advocated the view that "religion should not simply be tolerated but should be countered, criticized, and exposed by rational argument wherever its influence arises." The movement is commonly associated with Richard Dawkins, Daniel C. Dennett, Sam Harris, Christopher Hitchens, and Victor J. Stenger. Several best-selling books by these authors, published between 2004 and 2007, form the basis for much of the discussion of New Atheism. It is difficult to quantify the number of atheists in the world. Respondents to religious-belief polls may define "atheism" differently or draw different distinctions between atheism, non-religious beliefs, and non-theistic religious and spiritual beliefs. A Hindu atheist would declare oneself as a Hindu, although also being an atheist at the same time. A 2010 survey published in Encyclopædia Britannica found that the non-religious made up about 9.6% of the world's population, and atheists about 2.0%. This figure did not include those who follow atheistic religions, such as some Buddhists. The average annual change for atheism from 2000 to 2010 was −0.17%. A broad figure estimates the number of atheists and agnostics on Earth at 1.1 billion. A November–December 2006 poll published in the Financial Times gives rates for the United States and five European countries. The lowest rates of atheism were in the United States at only 4%, while the rates of atheism in the European countries surveyed were considerably higher: Italy (7%), Spain (11%), Great Britain (17%), Germany (20%), and France (32%). The European figures are similar to those of an official European Union survey, which reported that 18% of the EU population do not believe in a god. Other studies have placed the estimated percentage of atheists, agnostics, and other nonbelievers in a personal god as low as single digits in Poland, Romania, Cyprus, and some other European countries, and up to 85% in Sweden, 80% in Denmark, 72% in Norway, and 60% in Finland. According to the Australian Bureau of Statistics, 22% of Australians have "no religion", a category that includes atheists. Between 64% and 65% of Japanese and up to 81% of Vietnamese are atheists, agnostics, or do not believe in a god. A 2012 Gallup survey reported that 13% of people surveyed worldwide self-report to be atheists. In the United States, there was a 1% to 5% increase in self-reported atheism from 2005 to 2012, and a larger drop in those who self-identified as "religious", down by 13%, from 73% to 60%. A study noted positive correlations between levels of education and secularity, including atheism, in America, and an EU survey found a positive correlation between leaving school early and believing in a God. According to evolutionary psychologist Nigel Barber, atheism blossoms in places where most people feel economically secure, particularly in the social democracies of Europe, as there is less uncertainty about the future with extensive social safety nets and better health care resulting in a greater quality of life and higher life expectancy. By contrast, in underdeveloped countries, there are virtually no atheists. A letter published in Nature in 1998 reported a survey suggesting that belief in a personal god or afterlife was at an all-time low among the members of the U.S. National Academy of Science, 7.0% of whom believed in a personal god as compared with more than 85% of the general U.S. population, although this study has been criticized by Rodney Stark and Roger Finke for its definition of belief in God. The definition was "I believe in a God to whom one may pray in the expectation of receiving an answer". An article published by The University of Chicago Chronicle that discussed the above study, stated that 76% of physicians believe in God, more than the 7% of scientists above, but still less than the 85% of the general population. Another study assessing religiosity among scientists who are members of the American Association for the Advancement of Science found that "just over half of scientists (51%) believe in some form of deity or higher power; specifically, 33% of scientists say they believe in God, while 18% believe in a universal spirit or higher power." Frank Sulloway of the Massachusetts Institute of Technology and Michael Shermer of California State University conducted a study which found in their polling sample of "credentialed" U.S. adults (12% had Ph.Ds and 62% were college graduates) 64% believed in God, and there was a correlation indicating that religious conviction diminished with education level. In 1958, Professor Michael Argyle of the University of Oxford analyzed seven research studies that had investigated correlation between attitude to religion and measured intelligence among school and college students from the U.S. Although a clear negative correlation was found, the analysis did not identify causality but noted that factors such as authoritarian family background and social class may also have played a part. Sociologist Philip Schwadel found that higher levels of education are associated with increased religious participation and religious practice in daily life, but also correlate with greater tolerance for atheists' public opposition to religion and greater skepticism of "exclusivist religious viewpoints and biblical literalism". ↑ Nielsen 2011: "Instead of saying that an atheist is someone who believes that it is false or probably false that there is a God, a more adequate characterization of atheism consists in the more complex claim that to be an atheist is to be someone who rejects belief in God for the following reasons …: for an anthropomorphic God, the atheist rejects belief in God because it is false or probably false that there is a God; for a nonanthropomorphic God … because the concept of such a God is either meaningless, unintelligible, contradictory, incomprehensible, or incoherent; for the God portrayed by some modern or contemporary theologians or philosophers … because the concept of God in question is such that it merely masks an atheistic substance—e.g., "God" is just another name for love, or … a symbolic term for moral ideals." ↑ Rowe 1998: "As commonly understood, atheism is the position that affirms the nonexistence of God. So an atheist is someone who disbelieves in God, whereas a theist is someone who believes in God. Another meaning of 'atheism' is simply nonbelief in the existence of God, rather than positive belief in the nonexistence of God. … an atheist, in the broader sense of the term, is someone who disbelieves in every form of deity, not just the God of traditional Western theology." ↑ ক খ Harvey, Van A.। "Agnosticism and Atheism", |শিরোনাম= অনুপস্থিত বা খালি (সাহায্য) in Flynn 2007, পৃ. 35: "The terms ATHEISM and AGNOSTICISM lend themselves to two different definitions. The first takes the privative a both before the Greek theos (divinity) and gnosis (to know) to mean that atheism is simply the absence of belief in the gods and agnosticism is simply lack of knowledge of some specified subject matter. The second definition takes atheism to mean the explicit denial of the existence of gods and agnosticism as the position of someone who, because the existence of gods is unknowable, suspends judgment regarding them … The first is the more inclusive and recognizes only two alternatives: Either one believes in the gods or one does not. Consequently, there is no third alternative, as those who call themselves agnostics sometimes claim. Insofar as they lack belief, they are really atheists. Moreover, since absence of belief is the cognitive position in which everyone is born, the burden of proof falls on those who advocate religious belief. The proponents of the second definition, by contrast, regard the first definition as too broad because it includes uninformed children along with aggressive and explicit atheists. Consequently, it is unlikely that the public will adopt it." ↑ Honderich, Ted (Ed.) (1995). "Humanism". The Oxford Companion to Philosophy. Oxford University Press. p 376. আইএসবিএন ০-১৯-৮৬৬১৩২-০. ↑ Fales, Evan। "Naturalism and Physicalism", |শিরোনাম= অনুপস্থিত বা খালি (সাহায্য) in Martin 2006, পৃ. 122–131. ↑ Baggini 2003, পৃ. 3–4. ↑ Martin 1990, পৃ. 467–468: "In the popular sense an agnostic neither believes nor disbelieves that God exists, while an atheist disbelieves that God exists. However, this common contrast of agnosticism with atheism will hold only if one assumes that atheism means positive atheism. In the popular sense, agnosticism is compatible with negative atheism. Since negative atheism by definition simply means not holding any concept of God, it is compatible with neither believing nor disbelieving in God." ↑ Flint 1903, পৃ. 49–51: "The atheist may however be, and not unfrequently is, an agnostic. There is an agnostic atheism or atheistic agnosticism, and the combination of atheism with agnosticism which may be so named is not an uncommon one." ↑ Holland, Aaron। "Agnosticism", |শিরোনাম= অনুপস্থিত বা খালি (সাহায্য) in Flynn 2007, পৃ. 34: "It is important to note that this interpretation of agnosticism is compatible with theism or atheism, since it is only asserted that knowledge of God's existence is unattainable." ↑ ক খ Martin 2006, পৃ. 2: "But agnosticism is compatible with negative atheism in that agnosticism entails negative atheism. Since agnostics do not believe in God, they are by definition negative atheists. This is not to say that negative atheism entails agnosticism. A negative atheist might disbelieve in God but need not." ↑ Barker 2008, পৃ. 96: "People are invariably surprised to hear me say I am both an atheist and an agnostic, as if this somehow weakens my certainty. I usually reply with a question like, "Well, are you a Republican or an American?" The two words serve different concepts and are not mutually exclusive. Agnosticism addresses knowledge; atheism addresses belief. The agnostic says, "I don't have a knowledge that God exists." The atheist says, "I don't have a belief that God exists." You can say both things at the same time. Some agnostics are atheistic and some are theistic." ↑ Besant, Annie। "Why Should Atheists Be Persecuted? "। |শিরোনাম= অনুপস্থিত বা খালি (সাহায্য) in Bradlaugh 1884, পৃ. 185–186: "The Atheist waits for proof of God. Till that proof comes he remains, as his name implies, without God. His mind is open to every new truth, after it has passed the warder Reason at the gate." ↑ ক খ গ Zdybicka 2005, পৃ. 20. ↑ Zdybicka 2005, পৃ. 21. ↑ Zdybicka 2005, পৃ. 19. ↑ V.A. 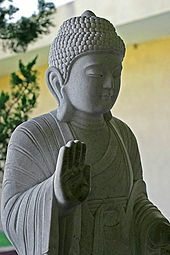 Gunasekara, "The Buddhist Attitude to God. "। ২০০৮-০১-০২ তারিখে মূল থেকে আর্কাইভ করা। উদ্ধৃতি টেমপ্লেট ইংরেজি প্যারামিটার ব্যবহার করেছে (link) In the Bhuridatta Jataka, "The Buddha argues that the three most commonly given attributes of God, viz. omnipotence, omniscience and benevolence towards humanity cannot all be mutually compatible with the existential fact of dukkha." ↑ Smith 1979, পৃ. 275. "Perhaps the most common criticism of atheism is the claim that it leads inevitably to moral bankruptcy." ↑ Smith 1979, পৃ. 275. "Among the many myths associated with religion, none is more widespread - [sic]or more disastrous in its effects—than the myth that moral values cannot be divorced from the belief in a god." ↑ For Kant, the presupposition of God, soul, and freedom was a practical concern, for "Morality, by itself, constitutes a system, but happiness does not, unless it is distributed in exact proportion to morality. This, however, is possible in an intelligible world only under a wise author and ruler. Reason compels us to admit such a ruler, together with life in such a world, which we must consider as future life, or else all moral laws are to be considered as idle dreams …" (Critique of Pure Reason, A811). ↑ Sarvepalli Radhakrishnan and Charles A. Moore. A Sourcebook in Indian Philosophy. (Princeton University Press: 1957, Twelfth Princeton Paperback printing 1989) pp. 227–249. আইএসবিএন ০-৬৯১-০১৯৫৮-৪. ↑ Baggini 2003, পৃ. 73–74. "Atheism had its origins in Ancient Greece but did not emerge as an overt and avowed belief system until late in the Enlightenment." ↑ Brickhouse, Thomas C. (২০০৪)। Routledge Philosophy Guidebook to Plato and the Trial of Socrates। Routledge। পৃষ্ঠা 112। আইএসবিএন 0-415-15681-5। অজানা প্যারামিটার |coauthors= উপেক্ষা করা হয়েছে (|author= ব্যবহারের পরামর্শ দেয়া হচ্ছে) (সাহায্য)উদ্ধৃতি টেমপ্লেট ইংরেজি প্যারামিটার ব্যবহার করেছে (link) In particular, he argues that the claim he is a complete atheist contradicts the other part of the indictment, that he introduced "new divinities". ↑ ক খ Stein, Gordon (Ed.) (1980). "The History of Freethought and Atheism". An Anthology of Atheism and Rationalism. New York: Prometheus. Retrieved 2007-APR-03. ↑ Maycock, A. L. and Ronald Knox (2003). Inquisition from Its Establishment to the Great Schism: An Introductory Study. আইএসবিএন ০-৭৬৬১-৭২৯০-২. কার্লি-এ Atheism (ইংরেজি) – Includes links to organizations and websites.